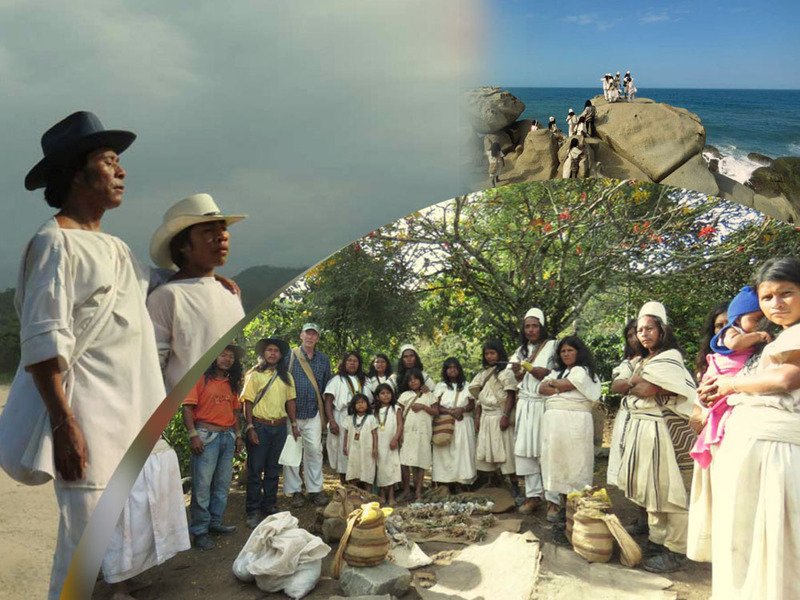 The Elders Project (sponsored by EarthAction) works with and provides assistance to the traditional authorities (Mamos) of the Sierra Nevada de Santa Marta (SNSM) in Colombia for projects aimed at strengthening their traditional practices. One of those projects is The Black Line Journey in which the four Indigenous Peoples from Santa Marta (Koguis, Arhuacos, Wiwas and Kankuamos) go on their sacred pilgrimage to make offerings (pagamentos) to the 54 sacred sites along the Línea Negra in the Sierra Nevada de Santa Marta, Colombia so they can bring balance and healing to their people and their land and strengthen their traditions. For the Koguis, Arhuacos, Wiwas and Kankuamos, the Sierra Nevada de Santa Marta is the origin, the beginning and the center of the world with everything else clustered around it. The Sierra is thought, it is reality and the principal task for its continued existence is to care and watch over it. To accomplish this, one has to ̈pay ̈, ̈work ̈ traditionally, because everything extracted from nature generates an imbalance. While the payments are being made at different sacred sites, the younger apprentices are learning how the work is done. This journey serves as a unique educational opportunity for them to see first hand all the sacred sites and learn how each one functions according to their Law of Origin.